Register for the third session of the 2013 Downtown Institute being held on Thursday, Sept. 26 from 9:00 a.m. – Noon (registration and breakfast at 8:30) at Lee Hall, Wishcamper Center, University of Southern Maine, 34 Bedford Street, Portland. Empowering. Strengthening. Guiding. 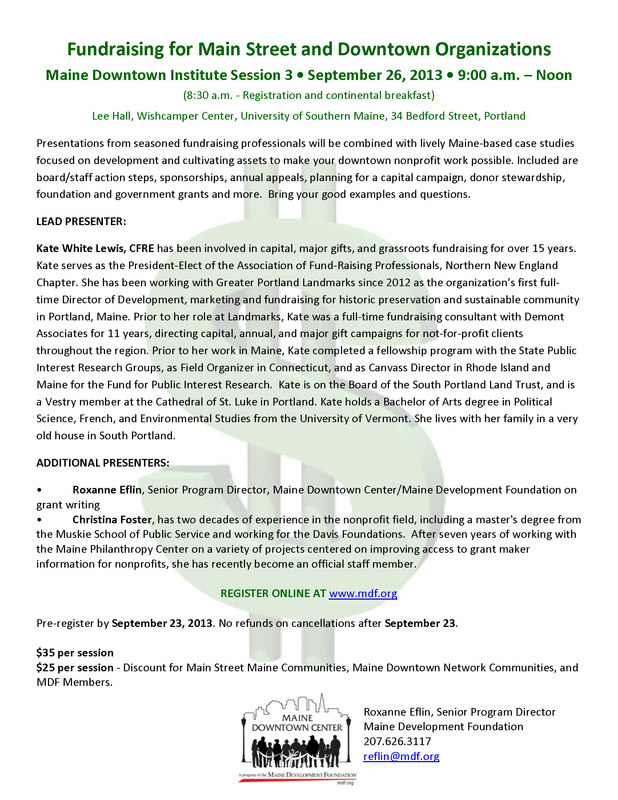 The Maine Development Foundation (MDF) drives sustainable, long-term economic growth for Maine. MDF stimulates new ideas, develops leaders, and provides common ground for solving problems and advancing issues. This entry was posted in Uncategorized and tagged Downtown, education, institute, Maine, revitalize. Bookmark the permalink.